Bangkok Airways has big aspirations and is currently pumping investment into its operations within Thailand. Currently, the business employs over 2,400 people and has a fleet size of 36 aircraft. This is set to expand with investment in new planes, and developments at their airport operations in Koh Samui, Trat and Sukhothai. This also shows just how far Thailand airlines and airports, in general, have come on. Thailand has one of the most efficient airline systems in the world. Furthermore, Thai airlines and the government is continuing to invest in major airports such as Suvarnabhumi in Bangkok. In this article, we look at the expansion of Bangkok Airways, and how Thai Airports are prospering in general. 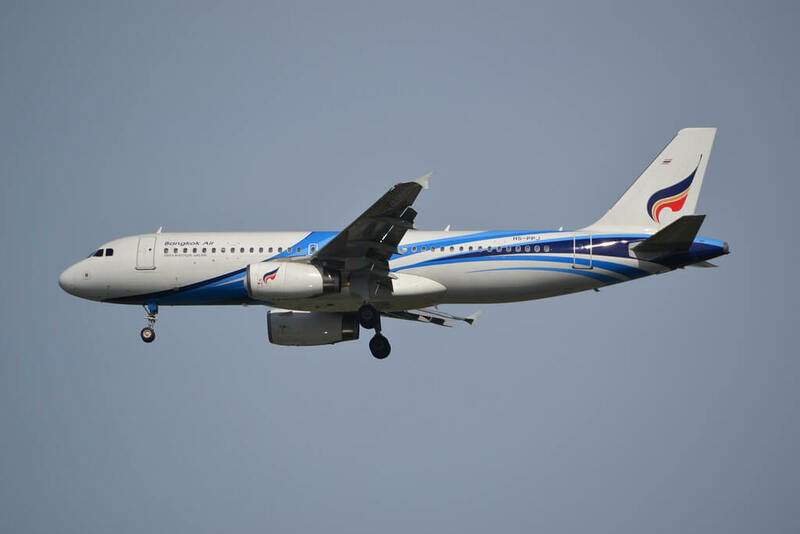 It has been reported that Bangkok Airways has experienced increased growth in passenger numbers. In months to come, the airline is forecasting a superb passenger growth rate of 3%. To accommodate this growth and improve its business, the company has set aside a considerable 3 billion Baht. This investment will be used to purchase two new modern ATR 72-600 aircraft. This will add to its fleet of 30+ aircraft which will all also receive refurbishment and maintenance during the process. In short, Bangkok Airways looks to reinforce its fleet and ensure its continued quality for its ever-increasing number of passengers. In the future, it will facilitate increased flights routes in various countries throughout Southeast Asia. For example, it will expand outside of Thailand and offer flights to Laos, Myanmar, Vietnam and Cambodia. Aside from investment in a new craft, Bangkok Airlines will also develop its airports. Bangkok Airways currently has public airports in Koh Samui, Trat and Sukhothai. It also has a large depot in the main Thailand airport of Suvarnabhumi, Bangkok. The airline has stated that it will invest in these airports to help cope with its expected future passenger growth. Koh Samui airport is known as one of the most beautiful and stylish in the world. Bangkok Airways have poured investment into this airport which has, in turn, helped tourism develop on the island. The airport has undergone a runway expansion and received huge investments to improve its facilities and shopping areas. Trat is located in the south of Thailand and is used by many passengers to circumvent a stop at the busy airports in Bangkok. In recent years this airport has seen an increase in passengers. In response to this, Bangkok Airways will expand the runway and develop the airport to also accommodate more passengers. Sukhothai is an airport in the north of Thailand. It currently has limited facilities but Bangkok Airways are set to improve this also. It has been stated that they intend to build an MRO facility at this airport which will be responsible for the maintenance and repairs of aircraft. As you can see, Bangkok Airways really is investing heavily in its fleet and base of operations. Although posting reduced profits and revenue in 2018, this investment looks to be a path in the right direction. To coincide with this growth, AOT is investing over 200 billion baht in their airports. Two new airports are reported to be in planning including Chiang Mai 2 and Phuket Airport 2 – this will boost tourism and flight availability in these areas. This will boost Thailand’s already fantastic network of airports and flights and give more availability to customers for both international and regional routes. When you consider the investment from Bangkok Airways and the development plans from AOT, it is clear that the future of Thailand’s air travel remains in good hands. We can expect the continuation of excellent flight services, minimal delays, and abundant availability of flights.